It’s time to celebrate: your little one is still a baby but you’re looking ahead to the toddler years with the marking of that milestone first birthday. 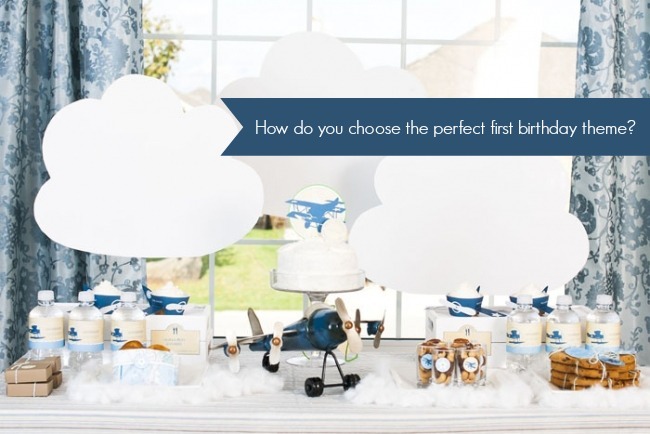 How do you choose a first birthday party theme to commemorate the significant first year? There are so many possibilities! I’ll give you a few ideas to prime your imagination but first consider how you want to celebrate and that can help you decide on your theme direction. Is this birthday symbolic of your hopes for baby and the future? If so, you might want to use hot air balloons, planes or maps to suggest a general idea of life’s journey. Are childhood icons important to you? Nursery rhymes, Disney characters, or Dr. Seuss might inspire an idea. Look to favorite books for theme ideas. “The Little Prince”, “Guess How Much I Love You” and “The Giving Tree” are only a few that offer great possibilities. Family interests can give you a place to start planning. Are you a family of nature lovers, sports enthusiasts, practical jokers, etc.? What character traits do you catch glimmers of in your child? Is there a sunny disposition, a little rascal, or cute as a button aspect you want to celebrate? little monsters; silly and colorful, not scary! A joyous celebration that expresses love for your little one can come in all shapes and colors; party theme ideas for a first birthday are as plentiful as your hopes for baby. Have fun…and let them eat cake! 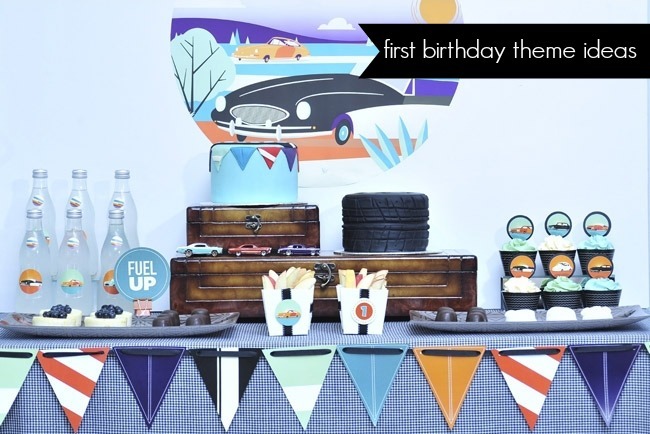 What first birthday party theme will you choose for your celebration? Great tips! The 1st birthday is so important that it is easy to get carried away with the expectations of others. First birthdays are the hardest to decide. Your child is often too little to have a real interest in any one things unless they have already obsessed about a favorite toy that can then be turned into a birthday theme. We have our 4th child’s first birthday coming up in August and gotta decide soon what the theme will be. I love collecting favors and decorations throughout the year on the cheap! 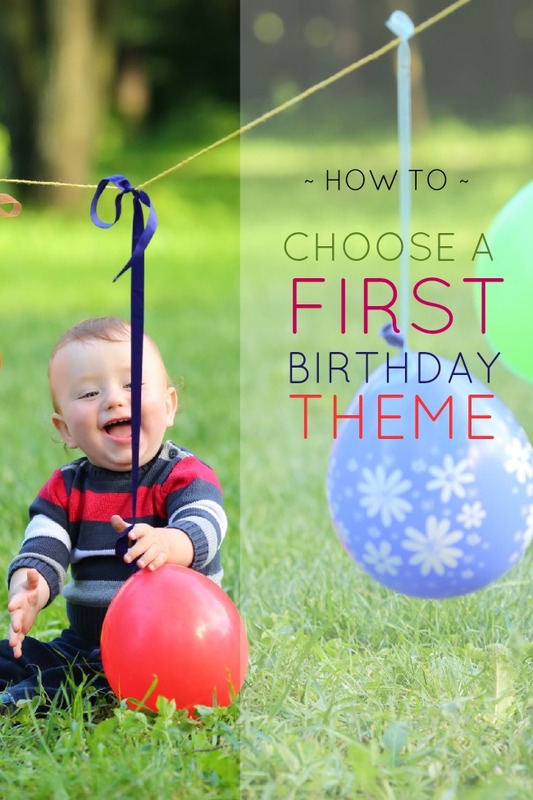 Thank you for all the tips on how to choose a first birthday party theme. I really want to have a cute party theme for my son, but I don’t know what to choose. I think it would be a great idea to plan it around a character trait he has already.